Shrubs can provide your home with beautiful landscaping, set boundaries or provide you with privacy. However, if you select native shrubs, you can also gain more benefits from the hedges. Native shrubs tend to go better in the environment they originated in and used less water than shrubs that are not native. Here are four different types of shrubs that are native to North America, along with the advantages and a bit of information regarding each type. Privet hedges are planted primarily to ensure privacy around a home. It is a thick hedge that can grow up to ten feet tall, making it the perfect option for an environmentally-friendly fence. 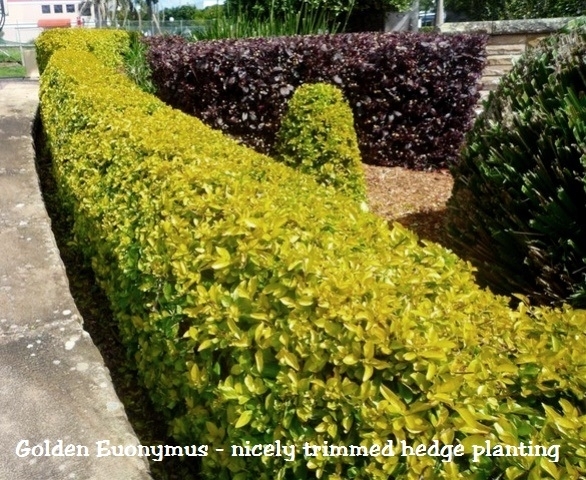 As such, this type of hedge is commonly planted around the perimeter of a yard or along property lines, to create a barrier between the two properties. Privet tolerates both part shade, part sun or full sun conditions is exceptionally tolerant of most soil types and after it has been growing and established, is drought resistant. It is hardy to Zone 5 through 9, meaning it grows well across much of the United States, except Montana, Minnesota, Wisconsin, and North Dakota. Viburnums are hedges that can be planted to create low walls or high fences, helping to create a wall or ensure privacy from peeping eyes. There are many different varieties of viburnums, so it is essential to do your homework based on what your needs are. Some types grow no taller than 4 feet tall, while others reach upwards of 20 feet tall. They are hardy in Zones 2-9, meaning it can be planted and thrive anywhere in the United States, except for Alaska. The shrub can thrive in sun or partial sun conditions and is drought resistant, making it perfect for places that are dry. Euonymus is an ornamental shrub that features flowers, berries, and beautiful bark. They are low lying, meaning they grow close to the ground. While most varieties don't get very tall, there are vine versions that can reach or exceed 20 feet in height. These shrubs are perfect to establish a boundary or add depth near a fence. However, they don't offer the same privacy that other shrubs that act as hedges do. One of the advantages to this shrub is that it grows in full sun, partial sun, partial shade and shade conditions. It is hardy in Zones 4 through 8, meaning some varieties can be grown across most of the United States, with the exception being the hottest parts of California, Texas and Florida and the coldest parts of Minnesota, Wisconsin and North Dakota. Blue hydrangea is a shrub that is characterized by its unique bunches of flowers. This shrub can grow anywhere from three to 18 feet tall, making it perfect for setting up a border or establishing privacy around your yard. Blue hydrangeas are relatively easy to grow and grow well in partial sun, partial shade and shade conditions. There are varieties of this species that are hardy in Zones 4 through 9, meaning the plant can be grown throughout most of the United States, with the exception being the coldest parts of Minnesota, Wisconsin and North Dakota.